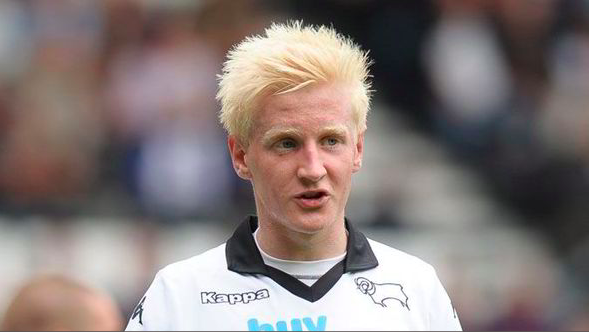 For over 5 years now , young Will Hughes has been the go to man for Derby County. With his move to Watford complete , EADF takes a look at his journey so far and what Premier League fans can hope to expect from him in the 17/18 season..
Celebrated Derby County starlet Will Hughes made the switch to the Premier League this summer, signing for Marco Silva’s Watford FC. Having established himself as a solid midfielder with almost 200 appearances under his belt at the tender age of 22, the switch to the top tier couldn’t have come at a better time. With Hughes looking set to take the Prem by storm, let’s take a look at his career so far and where he can go to from here. Having moved to Derby from childhood club Mickleover Jubilee in 2011, Hughes made his debut for Derby Reserves in a 6–1 win over Walsall. In November of the same year, Hughes had an impressive outing for the Rams against Port Vale reserves. His assured touch on the ball and attacking vision to link up with teammates caught the eye of Nigel Clough, who was Derby boss at the time. Clough promoted Hughes to the first team setup, and he made his full-fledged Derby debut against Peterborough, coming on as a 90th minute substitute. In February 2012, he was called up to the England U17 side for the Algarve tournament, where he played all three games. England came away with 7 points and won the tournament. Sky Sports’ scout report of Hughes from his early days. Talks of a possible transfer to Manchester United or Manchester City were mooted, with both clubs identifying Hughes as a player with the potential to become something extraordinary. However, nothing materialized and Hughes ended up being promoted to the first team, after Paul Green refused to sign an extension. In the season that followed, Hughes went from strength to strength on the field. His composure on the ball enthralled Derby fans are put him on the shopping lists of all the major clubs. His 20 yard equalizer against Milwall was something to remember. He went on to win the player of the month award for the November of 2012. He also made his England U21 debut in that same month, becoming the second youngest ever after Theo Walcott to do so. That winter, the rumor mill went overdrive, with Manchester City, Arsenal, Liverpool and even Barcelona being linked. Yet again, nothing materialized and Hughes went on to extend his contract till June 2016. In the February of 2013, Hughes injured his groin, ending a run of 37 consecutive appearances. With the prospect of a play-off seeming unlikely, Clough decided to rest Hughes for the rest of the season. The name Will Hughes was really starting to get around now. Harry Redknapp, who was at QPR at the time, said “He’s destined for a big Premier League club in the future”. Hughes ended up winning the Sam Crooks young player of the season award, adding to his list of growing accolades. At this juncture, Hughes was linked with Liverpool week in and week out. People started calling him the ‘next Gerrard’. They got to such a point that Brendan Rodgers was forced to comment on the matter at a Merseyside Derby press conference! Despite the fact that Hughes fit the FSG scouting model perfectly, Rodgers denied there being any bid for Hughes, cooling all interest in the matter. In the seasons that followed, Hughes went on to cement his place in the side. Despite competition from Craig Bryson, Paul Coutts and Jeff Hendrick, Hughes held his own and went on to become a well-known figure at Pride Park. Then came the Championship Play off semi — finals. Hughes, despite being tightly marked, managed to sprint in and backheel a low ball coming in from the left into the far corner. However, that turned out be a nightmare dressed like a daydream. The injury that threatened to hamper Hughes’ growth. In the final that followed, QPR were down to 10 men and Derby were enjoying 68% possession, with Hughes calling all the shots from midfield. Derby had QPR pinned against the ropes. Bobby Zamora however, had other ideas. He scored an injury time winner completely against the run of play, with that being QPR’s only shot on target in the entire game. Derby were heartbroken. A whole season of hard work had gone down the drain in a matter of seconds. This elucidated just how unpredictable the game of football was. In the 15–16 season, Hughes injured his ACL in the season opener against Bolton. As a result, he was sidelined for the rest of the season. In interviews with The Guardian, he admitted that he was very paranoid and anxious in his first few days of injury. He started to suspect whether he could ever get back to where he was again. 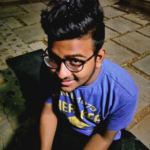 Despite these fears, he put his spare time to good use, learning Spanish and passing A levels in politics and business studies, at the Repton school. In the 16–17 season, despite the repeated change of management, Hughes had a solid season, racking up 42 appearances for the Rams. Derby finished comfortably in mid-table, sitting in at ninth in the championship. I feel that Hughes couldn’t have picked a more opportune moment to take the step up to the Prem. Having done all the groundwork, it’s finally time that the silver haired midfielder makes his way to the top tier of English football. If all goes well, we may be looking at one of the best home grown talents that England has ever witnessed, grow into a real force in world football. The post Will Hughes: It’s about time appeared first on El Arte Del Futbol. What does the HurriKane do?